Car insurance serves to protect all drivers who legally operate vehicles on U.S. roadways, which is why it is mandatory in all 50 states. And, even though insurance can seem like a steep expense each month, it exists to help – not hurt – you. The team at MyDriverLicenses.org encourages drivers to put their car insurance policies to use, whenever necessary. Not sure when to file a car insurance claim? Continue on to learn more about the appropriate instances in which to contact a claims adjustor at your auto insurance company. According to the experts at MyDriverLicenses.org, the No. 1 reason that drivers file auto insurance claims is due to car accidents. Whether you were in a car accident that you caused or one where another driver was at fault, it is important to inform your auto insurance provider. When you are responsible for causing a car accident, you will need to file a claim that reports the damages done to your vehicle and to any others. On the converse, if you were not at fault and the driver who caused the accident will be filing a claim through his or her insurance provider, it is still important to inform your personal car insurance claims department in case something goes wrong – like the at-fault driver disappears, or you determine that he or she lied and never really called the insurance company at all. When a driver abandons the accident claim and there is no police report on file, note that you should prepare to pay your own personal deductible to fix the damages. There are plenty of accidents and damages done to vehicles that don’t even involve turning the key in your car’s ignition. For example, if another driver dented your car with his or her car door in a store parking lot, or if a gate goes down unexpectedly while you are entering or exiting a gated community, both are considered non-driving-related vehicle incidents. Car insurance is not just for protecting vehicles that are in transit. You can file car insurance claims for financial assistance with many different vehicle repairs. The team at MyDriverLicenses.org encourages you to review your policy and speak with a representative from your auto insurance company if you are unsure about your coverage plan. 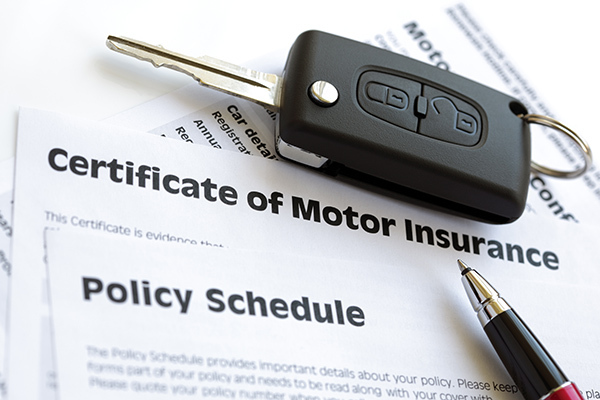 Sometimes, this coverage is elective on your part when you purchase a new auto policy. The team at MyDriverLicenses.org understands that natural disasters are out of our personal control as drivers. That said, you never know when life will literally drop a 50-pound tree branch on your windshield in the midst of hurricane-force winds. In addition, you may find yourself stuck and stalled in the middle of a storm that floods your neighborhood roadways. When unexpected forces of nature hit the ground running, you can only drive so fast. If your vehicle suffers damage due to a natural disaster, call your insurance company to file a claim. You may find that your home state allows for specific coverage options related to hurricanes, tornadoes or even northeasters. The team at MyDriverLicenses.org is well-versed in many different types of vehicle-related issues, including that of the infamous hit-and-run. While it is frowned upon and morally devastating, there are still drivers out there who do not want to own up to their mistakes. Hit-and-runs can take place while both drivers are commuting, or while your car is parked and you are nowhere in sight. Offenders even perform hit-and-runs on people! In any such case, it is crucial for victims to file car insurance claims to keep a record of the incidents and work toward repairs, if necessary.